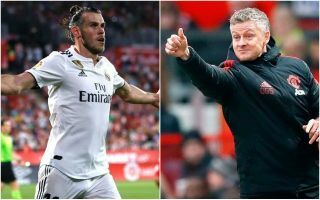 Manchester United and Arsenal could reportedly be in a good position to pounce for the transfers of Real Madrid duo Gareth Bale and James Rodriguez. According to Don Balon, Bale has held talks over a move to Bayern Munich – where his team-mate Rodriguez is on loan – but prefers a move to the Premier League, with Man Utd listed as his main suitors. The report also states Rodriguez doesn’t want to stay at Bayern beyond his loan, though a return to Madrid seems unlikely as well after his struggles there under manager Zinedine Zidane in the past. Don Balon lists Arsenal as one of the clubs who could benefit, so it may be that both will be on their way to England this summer. Despite their own struggles in recent seasons, both are undoubtedly among the finest attacking players in Europe when they’re at the top of their game. It remains to be seen if they can get one more real burst of form at Arsenal or United, but it would be intriguing for the neutral to see them in the Premier League. Bale could be a particularly exciting addition, with the Wales international having shone in his time in the PL with Tottenham a few years ago.